OAKLAND, Calif. - Jan. 24, 2018 - PRLog -- Hip Hop Recording Artist and Multi-Platinum Songwriter, Mistah F.A.B. is set to release an 18 Track LP, titled "Thug Tears" on Friday, 1/26/2018. 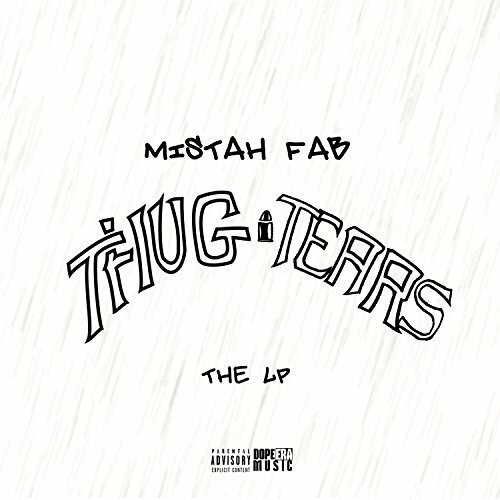 The highly anticipated project takes listeners on an emotional journey into the life of Mistah F.A.B. and he has stated that this LP is his most honest and personal work to date. The "Thug Tears" LP will pull your heartstrings, make you cry, provide comfort for those who have experienced the loss of a loved one and embrace life as we know it. "Thug Tears" Features: The Jacka, Kevin Gates, ED.I. Mean and Young Noble of the Outlawz, Mozzy, Clyde Carson, Latoiya Williams, De'Marie King, Rashad Toussaint, Krissy Blanko, The Sober Junkie, Rexx Life Raj, Tirzahx, and last but not least, his amazing daughter Liberty Forever. The Thug Tears LP is currently available for pre-order via https://itunes.apple.com/us/album/thug-tears/1336289124?l... and will be available for purchase via all digital retailers on 1/26/2018. Stanley Cox aka Mistah F.A.B. is an American, Hip Hop Recording Artist, Multi-Platinum Songwriter, Sports Correspondent and Philanthropist. Aside from his platinum music success, he is also an Entrepreneur with accolades under his Faeva Afta publishing company and has developed a conglomerate of businesses under the "Dope Era" moniker which includes an apparel line, clothing store, film company, podcast, magazine, and music group. Mistah F.A.B is also passionately involved with youth and community outreach and organizes various charitable events throughout the year. For information on Mistah F.A.B. or how to become involved in his future charitable events, visit Mistah F.A.B. via social media at Instagram/ FabbyDavisJr1, Twitter/MistahFAB or Facebook/FabbyDavisJr.